FaMESHed for March has arrived – spruce up your bathroom with fresh spring pastels and fun animations with our new Vintage Bathtub, Vintage Sink and Vintage Vanity – all at FaMESHed during this month’s cycle! 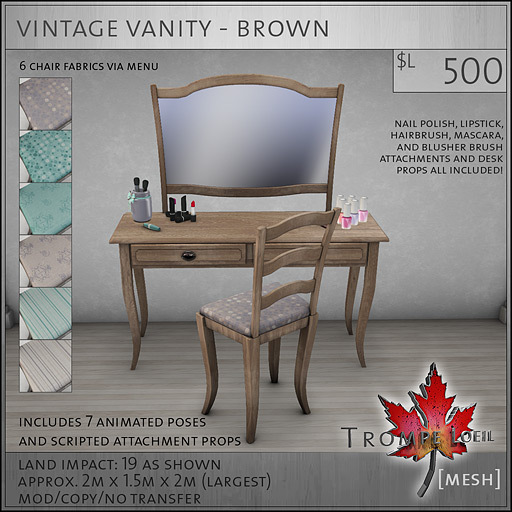 Our Vintage Vanity features working props and matching animations – lipstick, blusher brush, nail polish and hairbrush – available through the animation menu or as automatic temporary attachments for you and your guests. Plus, pick your favorite chair cushion fabric from 6 coordinating options! Check them out in person at FaMESHed throughout March! 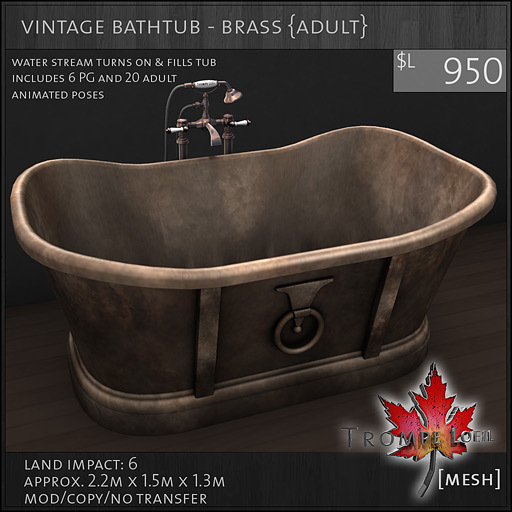 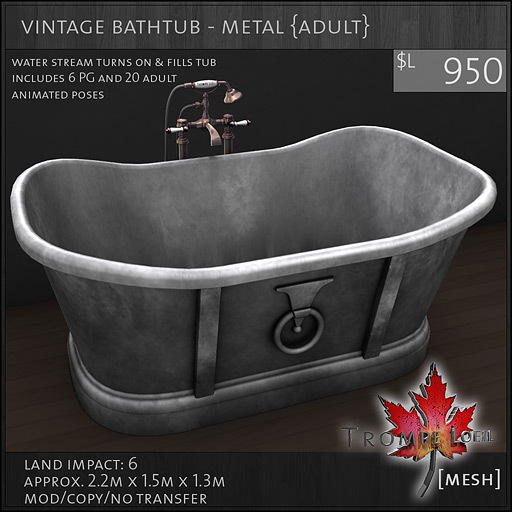 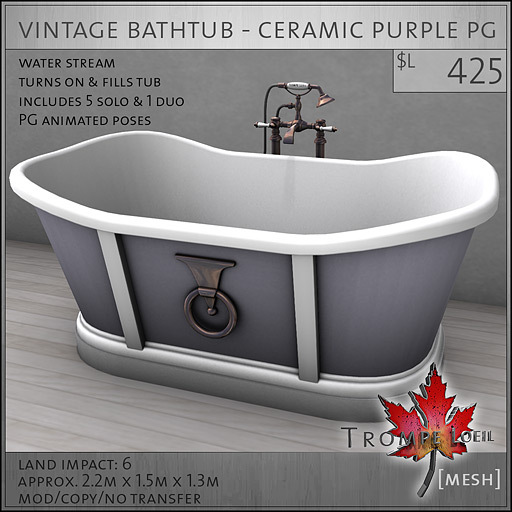 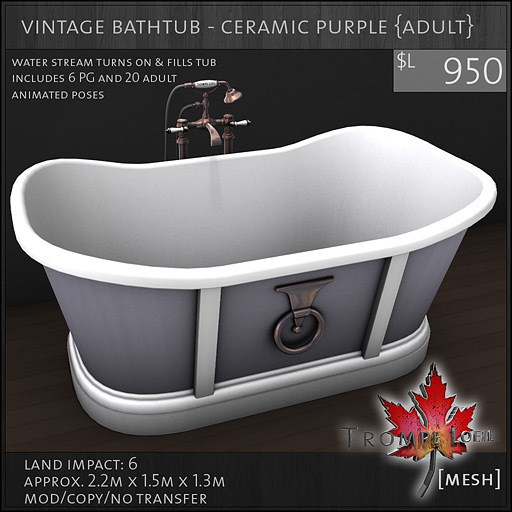 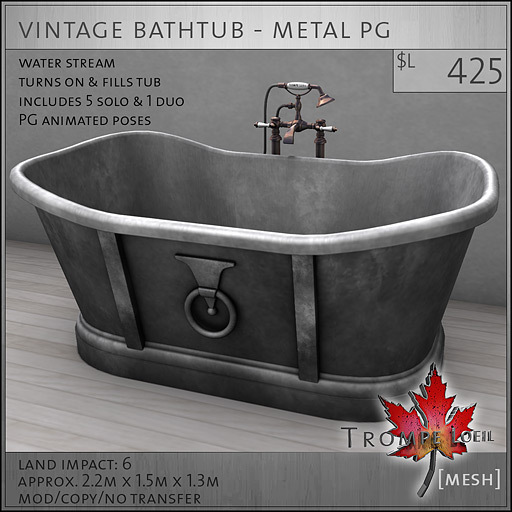 The Vintage Bathtub comes in 4 unique finishes, and features PG or Adult rated versions and working faucets – just click to fill and empty the tub! 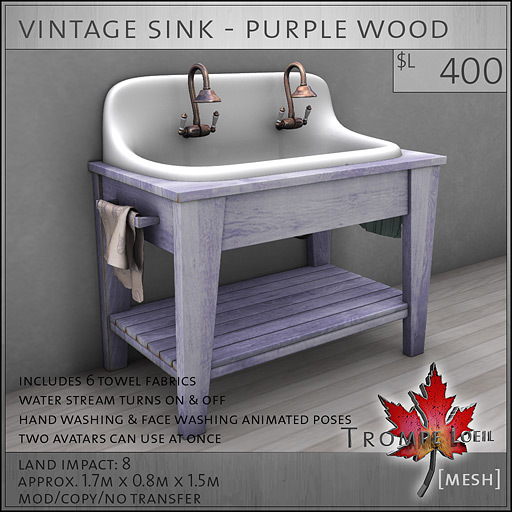 The Vintage Sink works great in a country kitchen too! Two avatars can wash their hands or face at the same time – just click the faucet handles to turn the water stream on and off! 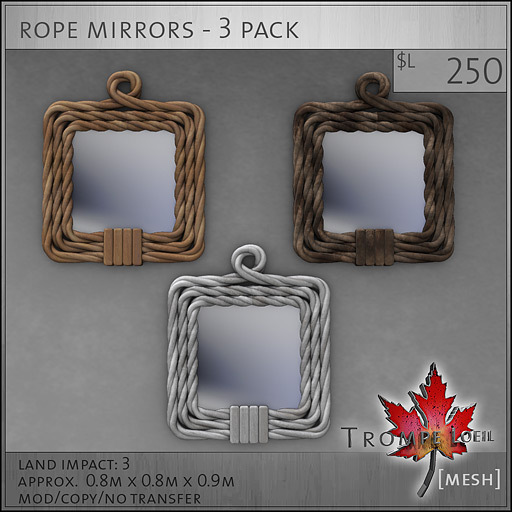 Last but not least – our Rope Mirrors are a unique look, great for vintage or country decor. Mesh detailing makes these pieces look fantastic from any angle!